I got bored now so I wanna talk to you guys about the Boeing 777. This is my one and only favourite plane model. The rest is okay. But so far, the triple seven is the best. When I was young, I use to love all the models. 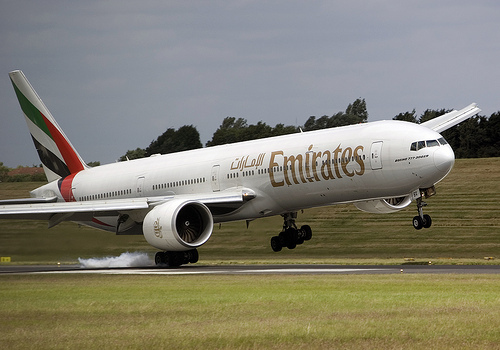 But now that I'm writing a storybook with the Boeing 777 in it, I just had to love it. Like I said, the rest of the plane models are okay. I didn't say I hate them, I like them. It's just that I don't put much interest in them just yet. My parents said I gotta study more often and get good results. So that we could ride on one. But I didn't study for that reason. I studied because I wanna go to a higher level next year. Incase you guys dunno what an auxiliary power unit is, it's that hole you see there at the end. The one behind the tail and the stabilizer. It's like...the whole thing is folded or like a paper with a side stick to another side of another paper. And one more thing is the triple seven's massive engine. If I'm correct, the triple seven is the one and only with the biggest engine. O_O Wow. How is it possible that this plane can fly with not just one massive engine... but two!? I think it's the wings that help to carry it. With the engine nylon of course. Wow...look at that beautiful engine. And those curved turbofans. I found it a few minutes ago. When I found that engine photo I just showed you. Not the 777 freighter engine. They have gigantic photo sizes. It comes from flickr. I don't usually go to flickr for images. I think that they sets of images. Maybe flickr is the 1# image search engine. Like YouTube. Except that YouTube is for videos. I'm not really sure. But I think it is. 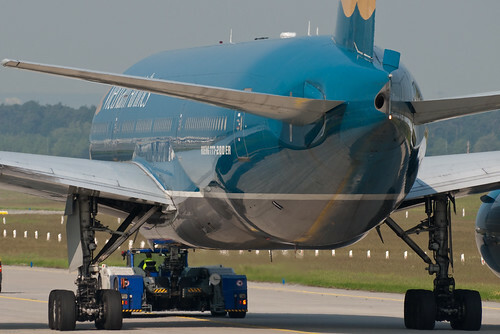 The plane landed on it's right main gear. Then the uploader captioned it as "Rollercoaster". The PIA, Singapore and Malaysia Airlines are cool too. In the Singapore Airlines, there's a British Airways 777 taking off. The uploader should've filmed that one. Ah...but nevermind. That's not the plane he wanna film on. Or the subject. They sound AWESOME! In fact, all the triple sevens have the same engine sounds. Mostly because it's build by Rolls Royce. Rolls Royce is the only engine industries that Boeings and Airbuses use. Probably because the engines look almost the same. Except for different model, different engine model. And I also like the main gears that the triple sevens have. It's 6! On each main gear. Look at that panel, so nice shaped. Man they just look awesome. Good thing people came up with this plane model. And...also the shape of the wing. It's so nice and simple. The engine is sharp. This is actually a window view. Of course. 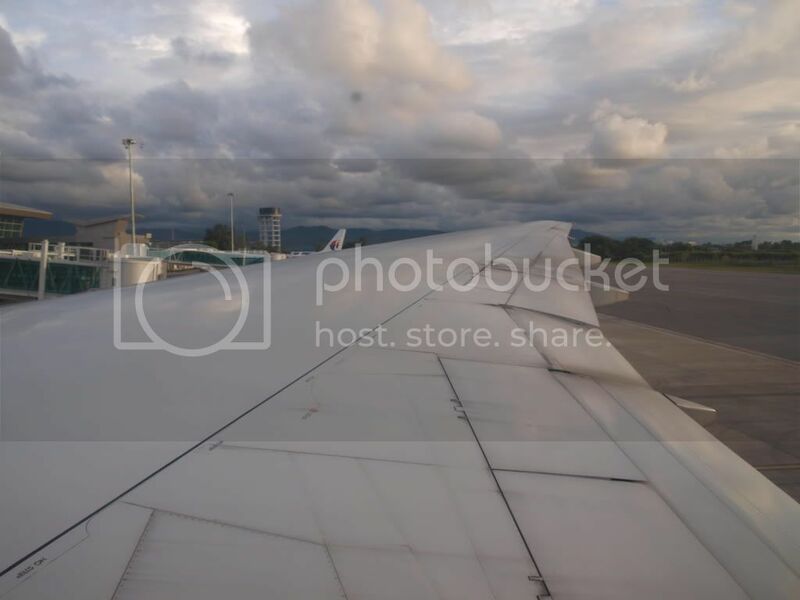 I wish if one time I go onto a 777, the window view is like this. Oh and one last thing, the cockpit windows. The side widows curves real nice. It's a little bit straight. And those windows are better than any models I've seen. Aw man...the triple seven is just awesome like heaven. Maybe I'll be in... 777 world. Okay stop dreaming. Anyway, it's 1:28AM right now and I gotta go to sleep before my Mom yells at me.